Lara Taylor-Pearce, Auditor General of the Republic of Sierra Leone, Africa Research Institute. Accueil Rubriques Le choix de WATHI Lara Taylor-Pearce, Auditor General of the Republic of Sierra Leone, Africa Research Institute. Founded in 2007, the African Research Institute (ARI) is an independent, non-partisan organization. It encourages debate, questions orthodoxy and challenges the “established wisdom” in and around Africa. The institute draws attention to good practices and innovation, while identifying new approaches that may be needed on the continent. ARI research is widely disseminated in Africa and elsewhere to decision-makers, institutions and individuals who are keenly interested in the future of the continent. The transcript of this interview was made by researchers Jamie Hitchen and Edward Paice. The control of the use of public resources is a central development issue in Africa. It is important to understand the role played by the organs of control of public finances, their operating mechanisms, and the links they have with States. 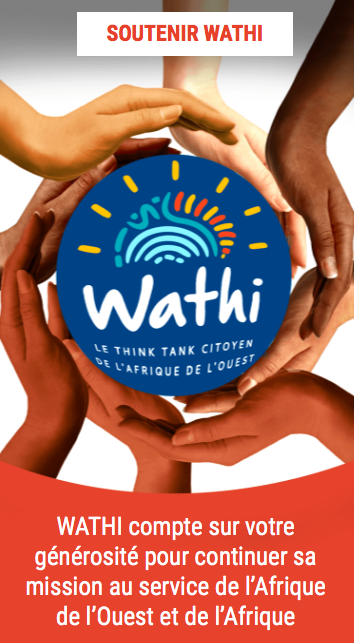 WATHI has chosen this interview because it allows citizens of countries in the region to know the expected role for institutions such as the auditor-general (in English-speaking countries) and their equivalents in francophone countries. That role, a priori, is fundamental to fight against corruption, the embezzlement of public resources, their misuse, and the impunity that encourages these evils. This is a testimony of an active person who clearly outlines the constraints and limits to actions such institutions. What lessons for the countries of WATHI zone ? In the report, three avenues of action should be the object of special attention for the countries of the region as regards the control of the public finances. With regard to the system on which audits are based, it is important that the organs of audits are financially independent from the State. This independence must be guaranteed by the autonomy of the budget insuring their functioning and the fulfillment of their activities. The system of control of organs is based on recommendations which are not necessarily executed. The biggest limit of these institutions is that their reports often do not have consequences even when they point out serious acts of mismanagement of public resources. For example, between 2010 and 2014 the auditor general of Sierra Leone put forward 953 recommendations, of which 231 were implemented, 75 are in progress and 647 were not implemented. It would be convenient to plan control and follow-up mechanisms for the application of these recommendations. These mechanisms could have a binding character which would oblige the audited to rectify and to conform to guidelines mentioned in the report. They could, for example, block the rest of the budget as long as certain recommendations are not put into practice. It is important that the recommendations are followed in an effective way. The auditor general in reality has no coercive powers. His mandate is limited to reporting the results of the audit to the parliament. Therefore, it would be necessary to increase the power of the members of Parliament regarding control of audit and repression by guaranteeing to them an absolute independence. States have to focus more on the repression of the acts mentioned in the reports. The highlighted financial embezzlements have to be the object of pursuit by the appropriate institutions. The solution would be, for example, to oblige the authors to recover the money through refunds. This repression also involves the extension of the powers of the controllers in the prevention of these offences by the control of funds, including in the international development projects. Supervisory bodies could increase their legitimacy by making their reports more accessible. For that purpose, there should be more involvement of citizen organizations that could hold leaders accountable and achieve a follow-up of the reports of the supervisory bodies such as the auditor general, the Inspections of finance, and the Court of Auditors. Since her appointment in 2011 as Auditor General of the Republic of Sierra Leone, Lara Taylor-Pearce has put forward 953 recommendations for improving public financial management. Government action on recommended reforms has been partial and invariably slow, but the profile of the Audit Service Sierra Leone (ASSL) continues to grow. While striving to encourage greater transparency, efficiency and accountability in government, Taylor-Pearce is equally keen to raise public awareness of the critical importance of sound governance. In this interview with Jamie Hitchen, policy researcher at Africa Research Institute, Taylor-Pearce reflects on the institutional development of the ASSL. Maintaining its independence is “a daily struggle”, but one she considers worth pursuing if it leads to closer scrutiny of the management of public funds in Sierra Leone. Exposing anomalies and discrepancies in the use of public funds can have consequences for the fiscal and operational independence of audit offices. In Tanzania, where the National Audit Office’s annual and special reports have revealed the loss of billions of shillings in central and local governments, as well as state-owned enterprises, the government proposed reducing the office’s budget by 50% in May 2016. Widespread public opposition eventually prompted a reversal of the decision, but the incident highlighted that audit offices often depend financially on the governments they are scrutinizing. Another limitation audit bodies throughout the continent share concerns follow-up of their findings and implementation of recommendations by the appropriate authorities, including parliamentary public accounts committees, anti-corruption commissions and the offices of attorneys general. In Sierra Leone, less than one-quarter of the audit office’s recommendations have been enacted in the past five years and no individual prosecutions for malfeasance have been brought. Kimi Makwetu has decried this situation in South Africa: “our system [is based on] recommendation, which relies on the next person to act. And if they do not wish to act it is effectively back to square one”. Of course, in countries where corruption in government is endemic and systemic, the findings of audit offices can be used expediently – to get rid of political rivals or present the “right image” to donors. But there is reason for optimism, especially if citizens, in increasing numbers, mobilise as a result of being better informed as is their right in constitutional democracies. Initiatives such as BudgIT8 in Nigeria have shown that there is a growing appetite for public scrutiny of state expenditure when the figures are communicated in a simplified and engaging way. If audit offices are able to “co-opt” or at least engage more closely with the public, while maintaining their autonomy and credibility, they are likely to have an even greater role in fostering transparent and accountable governance. Are the reports and recommendations of the Audit Service Sierra Leone (ASSL) heeded by the government and acted upon in the way you would like? Do you have adequate resources for your work? ASSL is mandated to report findings to the nation’s Parliament, as is the case for many other supreme audit institutions around the world. It is up to parliamentarians to scrutinise the report and ask the auditees to address the concerns raised. Between 2010 and 2014, this office put forward 953 recommendations, of which 231 were implemented, 75 are in progress and 647 were not implemented. For the whole public financial management system to be more effective, and for the people of Sierra Leone to benefit in full from funds generated by the government or received from international partners, it is important that audit recommendations are acted upon better.L’objectif est de prévenir, notamment, les conséquences négatives des réformes en réduisant les risques de corruption. In Africa auditing can be a risky business because the work often exposes what people want to hide. Public sector auditors need to be well remunerated. It is important for audit offices to establish and retain fiscal independence. Doing our job and maintaining our independence is a daily struggle. Tensions exist between supreme audit institutions and governments across the world. Governments are mandated to pay the salaries of audit staff but are often criticised by report findings.Il s’agit là d’une préoccupation majeure qui est d’actualité dans notre pays, au moment où l’Acte III de la décentralisation et le Plan Sénégal émergent (PSE) sont en cours d’exécution. The ASSL website states that “through independent professional standards-driven audits we establish to a level of audit assurance that public moneys are used by the government in the manner intended by parliament”. What would be your overall assessment of the government’s use of funds in terms of value for money and accounting for expenditure? What improvements in public financial management have you seen since your appointment as Auditor General in 2011? In 2013, 44.4% were audited as unqualified or satisfactory. That number has risen to 72.2%. An unqualified opinion is an independent auditor’s judgement that a company’s financial records and statements are fairly and appropriately presented. However, there are still lots of areas where change is needed. Take procurement as an example, because that is where the money is and that is where unethical activities tend to occur. The rules set out in the Public Procurement Act of 2004 are still frequently flouted. Every year we audit ministries of “high importance” – broadly based on the funding they receive – alongside other specially selected MDAs (ministries, departments and agencies). Quality is equally, if not more, important. The outbreak of Ebola showed up the health sector as a shameful panoply of dysfunction. 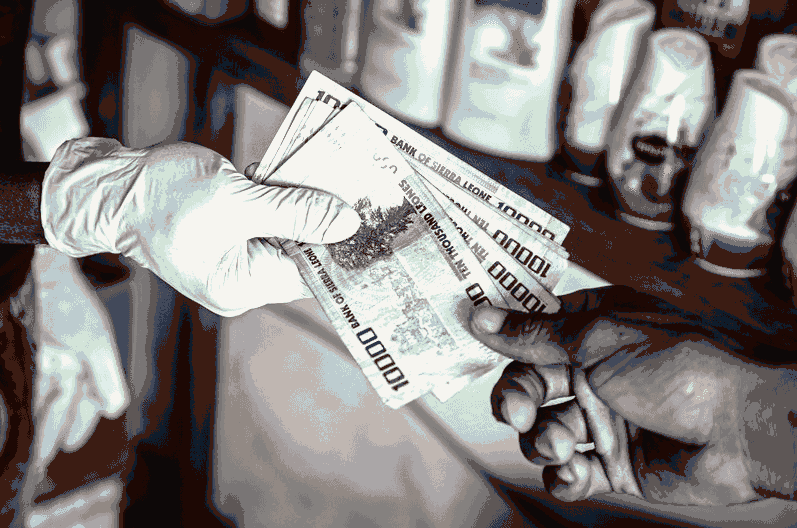 In 2014, payment was made to a contractor to supply ambulances during the Ebola crisis. I have seen no evidence of that contract being fulfilled in its entirety. Budget padding inflating the price of goods to four or five times their normal value is costing the government a lot of money. Leakages of various types are substantial enough to cause serious difficulties in the management of the day-to-day running of government affairs. The country is cash-strapped ministries and departments are not able to access the money they need to function effectively. What are the consequences of ignoring the rules and regulations set out in the law? Are government ministries supportive of your work? To what extent is a lack of capacity at ministry and local government levels an impediment to proper audit practices in Sierra Leone? Insufficient pressure is put on auditees to respond to the recommendations of reports. If there were greater consequences for ignoring these, perhaps attitudes would change. One solution would be to not release financial allocations to ministries until they enacted at least some of the recommendations from the ASSL audit. Ministries need to be incentivised to do the right thing if compliance is to become the norm. They do support us in allowing our auditors to carry out reviews, but when it comes to action on recommendations little changes. The need for adherence to the law is not something that you need to go to a special school to learn. Nonetheless, it will not happen until there are consequences for flouting the rules, both for individuals and ministries. Until we get to that point, commitment to proper audit practices will continue to be a personal choice. If malpractice is done totally off the books and we cannot see it, then we cannot talk about it. Rumour and speculation cannot be allowed to impinge on the auditing process. One way of addressing this problem would be to carry out a forensic audit, but we do not yet have the requisite skills or capacity. I look forward to a scenario when, after Parliament has finished with our annual report, efforts are made to prosecute based on malpractice highlighted by our findings. In five years my office has never received a communication from the attorney general’s office about action being taken against public officials because of what we have uncovered. We have actively sought to engage both with our work, as they are the ones mandated to investigate those who have transgressed. The will to act has to come primarily from these institutions. The real-time Ebola audit conducted by the ASSL has been praised for highlighting concerns about how government funds were spent. You found that 30% of the funds allocated to dealing with the crisis were either not spent or not issued in accordance with the law. What did you learn from this audit? Has the government acted on its findings? The major lesson, in hindsight, is that we should have gone in earlier. It was a difficult decision to know whether we should go in, because of the nature of the crisis. What were people going to think if auditors came in and started asking questions rather than helping? People were dying. But when we started learning that concerns were being raised about the effectiveness of the response, we decided to act. In simple terms, a real-time audit involves monitoring expenditure and financial processes as and when the activities are taking place. It not only saves the government a lot of money but can quickly stop malpractice before it spirals out of control. For serious breaches of financial management procedure I would support forcing the individuals responsible to pay back the money. It would send a strong message. But currently this does not happen. People continue to get away with transgressions. Is international donor funding in health, education and infrastructure and large-scale investment projects sufficiently open to scrutiny from the ASSL? Why is this important? During the Ebola outbreak none of the funds that came in, apart from those that went directly to the government, were subject to the scrutiny of the audit office. When international partners claim they have helped improve the country in key sectors like health and education we would like to be able to verify and validate those claims. This could be done if auditing of these funds was standard practice. At the very least international actors could give us copies of their audits to put in our own reports. More broadly, we do audit World Bank-funded projects and conduct quality assurance on audits done for African Development Bank-funded projects. We would like to engage in monitoring some of the infrastructure projects being undertaken in Sierra Leone; and also to carry out IT and extractive industry audits. We cannot do everything, however, and it would be difficult, for example, to obtain the contracts and documentation necessary to carry out an audit of Chinese infrastructure projects. We are not shying away from that challenge or any other, but it is important that we do not overstretch ourselves. How does the work of the ASSL contribute to improving the awareness of citizens about government initiatives and projects that aim to deliver basic public services for citizens of Sierra Leone? What else could be done to improve engagement with the wider population? In 2010 our annual report became a public document but it was not until 2012 that it became public knowledge. Take the South African municipal elections in August 2016 as an example. I watched a political rally the weekend before the vote where people were using the findings of the auditor general’s report to hold the municipal authority to account, asking questions about its misuse of funds. It is a great example of how the work of audit offices can push for change even when governments are reluctant to do so.